Most times, it feels like Oscar Isaac just popped out from nowhere and began to grab many highly sought-after awards and nominations. But no, the Guatemalan-American actor and Musician has been acting for a long time and, it is only natural he gets positive results given the long efforts he has invested. As a matter of fact, it took him many years to get to where he is now. Widely celebrated as one of the most talented and well-paid actors, this bloke among other things, has his roles in Robin Hood, For Great Glory, Balibo, and Inside Llewyn Davis to thank for his attainments. 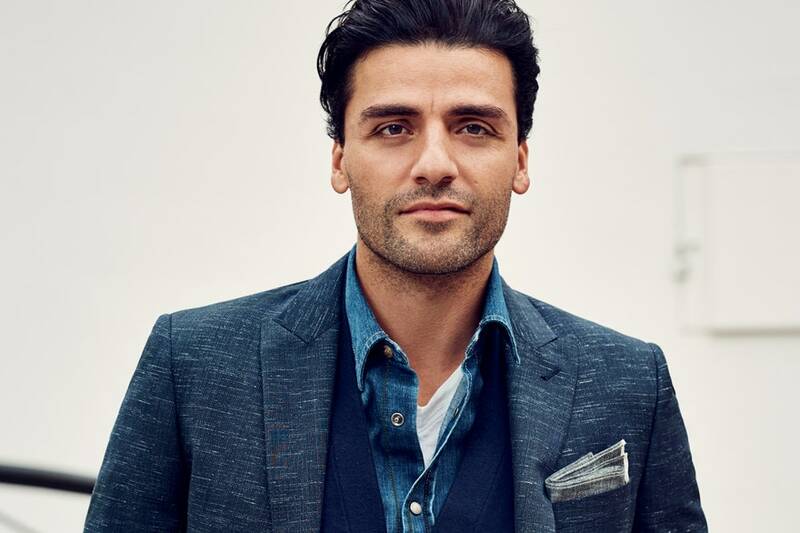 Oscar Isaac’s parents welcomed him on March 9, 1979, in Guatemala. His parents, Maria Eugenia Estrada and Oscar Gonzalo Hernandez-Cano named him Oscar Isaac Hernandez Estrada after he was birthed. Oscar is an American citizen but of mixed descent with a Cuban dad and a Guatemalan mom. At age five, his family led by his dad who was a medical specialist in respiratory tract disease moved to the US and settled in Miami, Florida. Irrespective of the fact that he was raised in a serious Christian home, Isaac was a little mischievous growing up. While in Westminister Christian, a private grade school, he was expelled for damaging things including a mural. He also attended Julliard school’s acting program and started out his career immediately after graduating from the school. Oscar Isaac has had a prevailing love for singing and acting as a child. He and his sister used their backyard as their stage for performing both arts. As a teen, Isaac began what he had long waited for which was performing as a singer; he served as a guitarist with several bands. The actor dumped music for acting after he got a chance to train in the renowned Julliard School’s acting program. While still perfecting his skills at the school, Isaac made his first big screen appearance in 2002 with a minor role in All About Benjamins and shortly afterward, he played small parts in different TV shows and theatres. In 2006, he got his first major film role as Joseph in the 2006 film The Nativity Story. Subsequently, he scored roles in The Life Before Her Eyes, Body Lies, Annihilation, and Agora and soon became a regular face on box-office smash hits such as Star Wars: The Force Awakens, Star Wars: The Last Jedi and Xmen: Apocalypse. More notable films and TV shows he starred in include; HBO miniseries Show Me a Hero, and Inside Llewyn Davis which won him a Golden Globe Award nomination. His performance in the HBO TV miniseries was quite memorable and his reward was a Golden Globe Award for Best Actor – Miniseries or Television Film. Isaac also featured in EX Machina and Balibo for which he was bestowed with the AACTA Award for Best Actor in Supporting Role. Meanwhile, Isaac has tried out several other ventures. His attempt at voice acting has also been favourable to him. An instance where he showcased this talent was in Nike ad “Unlimited” which was created by Wieden and Kennedy. So far, he has more than 50 films to his credit. In addition, the multi-talented actor has won a good number of awards and multiple award nominations. Since his career took a special turn in the mid-2000s, Isaac has stayed firm and ready to take on more forth-coming projects with all keenness. His recurring role which he is expected to play in the upcoming last sequel of Stars Wars: Episode IX has caused heavy anticipations among his fans. Oscar Isaac is a married man and a father. Before this discovery, Issac’s private life was heavily under wraps with no hint about what he does outside the screen. The information that was expected for a long time was later unveiled in 2016 when he was seen kissing an unknown woman during the Golden Globe Award. This stirred several speculations as many suggested the mystery lady could be the woman after his heart. It turned out as claimed the following year when the news of his marriage with his wife identified as Elvira Lind circulated on social media platforms. Shortly after their marriage in 2017, Lind had their son named Eugene. Who Is His Wife, Elvira Lind? Perhaps, it is the love for acting that brought the two lovers together, the actor’s wife is equally into the film business. She is Danish, a film producer, and a director. From what we gathered, Elvira Lind’s most notable works include Songs For Alexis, Swiz & Tuck and Bobbi Jene. Read Also: Ving Rhames Biography, Death Rumours, Net Worth, Is He Gay? Oscar is widely known for his sexiness and nice-looks. However, he is not among the tallest actors in Hollywood. The man is 8 and a half inch taller than 5 feet. Nonetheless, with his athletic physique and suitable body weight of 72 kg (159 lb), Oscar is definitely satisfied with his physical attributes.